Avro 652A Anson G-ALWX, ex EG674, owned by Air Enterprises Ltd, caught at Croydon in April 1950. Painted silver overall, the aircraft has had its RAF marks painted out in black. G-ALWX was never converted and it was scrapped in June 1953. Avro 652A Anson I G-ALYE, ex LV280, photographed at Croydon in February 1950 when it was owned by Transair Ltd. It is seen here painted in green and brown camouflage with yellow bands and undersides. In June 1950 this Anson slipped off to Israel. Avro 652A Anson Mk 1 G-AMBE, still bearing the RAF serial number EG228. 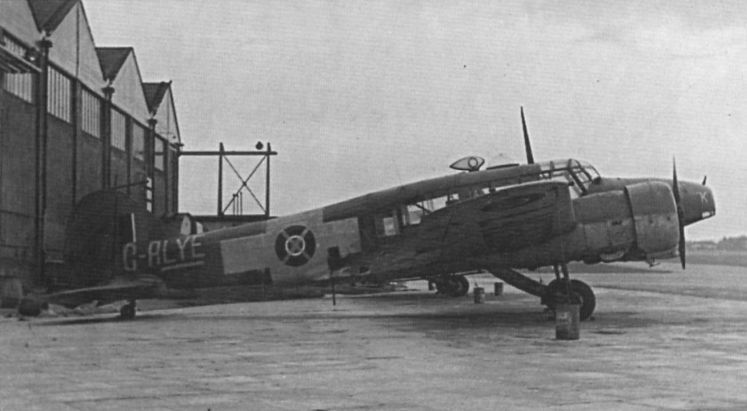 Painted silver overall with black RAF squadron markings and temporary civil registration letters in white, 'BE is seen at Croydon aerodrome in June 1950. Owned by Transair, the Anson was never converted and was withdrawn from use in December 1961. Avro 652A Anson G-AMBG, ex MH124, on the apron at Croydon in June 1950. Owned by Transair Ltd, the Anson was finished silver overall and had temporary registration letters in white. Left, photographed at Southend in October 1949, Avro 652A Anson G-ALUS was silver overall and had its temporary registration letters painted in black. In October the following year ’US was scrapped. Right, another Rollason-owned Avro 652A Anson parked on Croydon's tarmac. G-ALEL, ex MG247, in green and brown camouflage, yellow undersurfaces and rear fuselage, had its registration letters painted in cream when seen in November 1948. It was scrapped in January the following year. Another Israeli-bound Anson I was G-ALXE, ex R7985, seen at Croydon in January 1950. This Transair aircraft was in green and brown camouflage, with green undersides, with temporary civil registration in grey. 'XE left for Israel in June 1950 already. 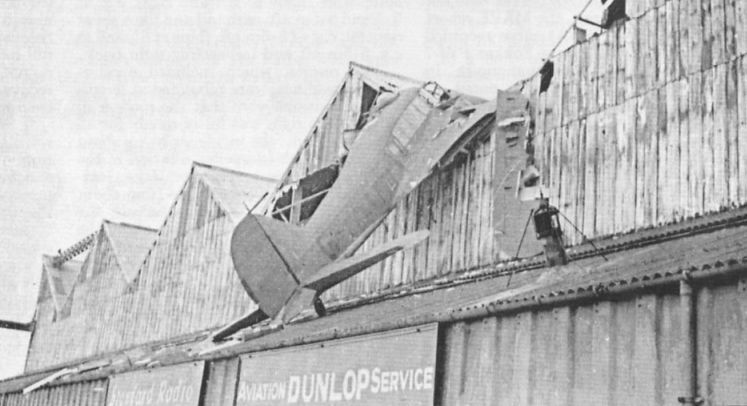 On March 8, 1949 Avro 652A Anson G-ALFJ, owned by Rollason, crashed into a hangar shortly after take-off. Formerly NL116 of the RAF, 'FJ was painted in green and grey camouflage on the upper surfaces with pale blue undersides; its temporary civil registration letters were in black.